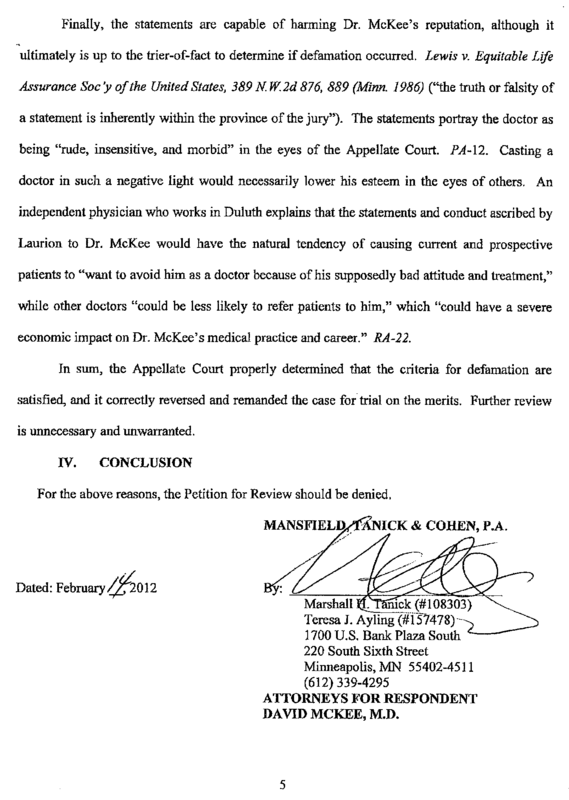 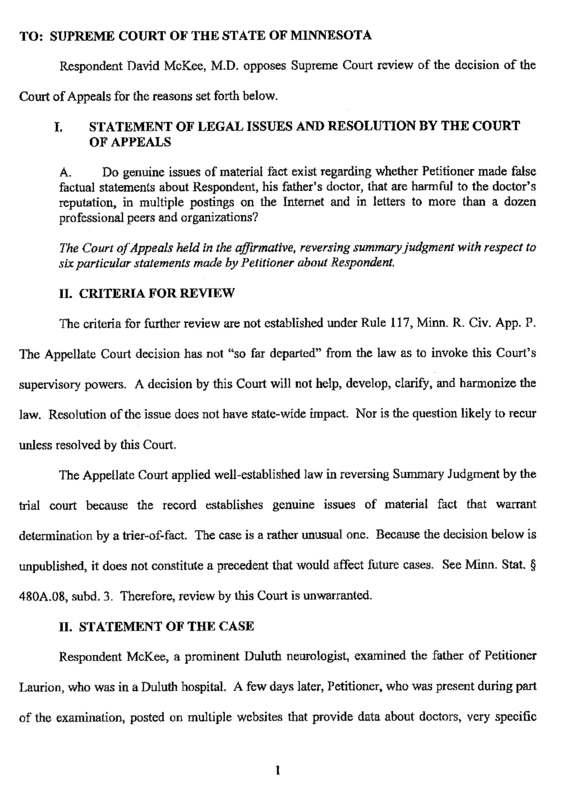 Review of the Appellate Court decision is unwarranted. 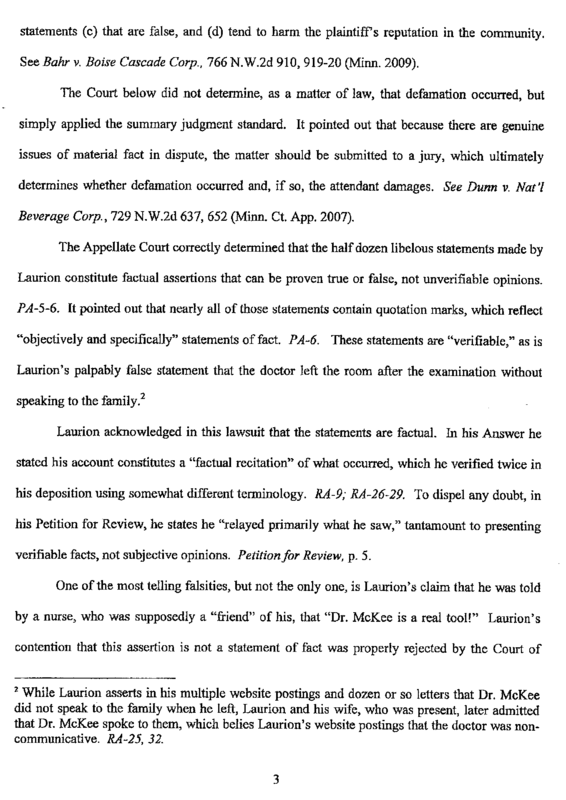 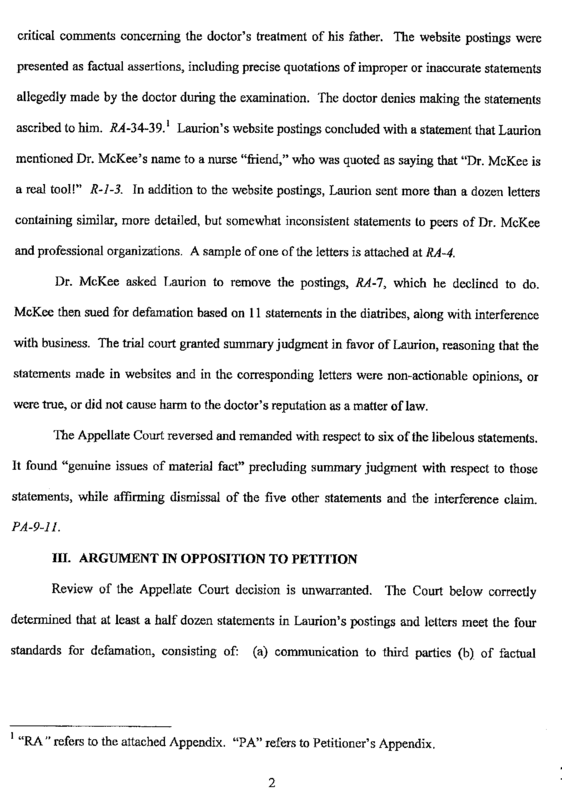 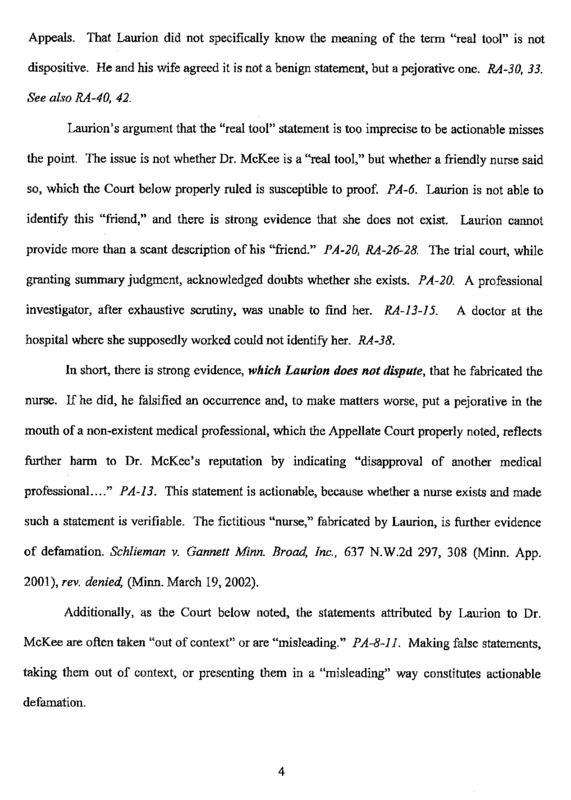 The Court below correctly determined that at least a half dozen statements in Laurion’s postings and letters meet the four standards for defamation. 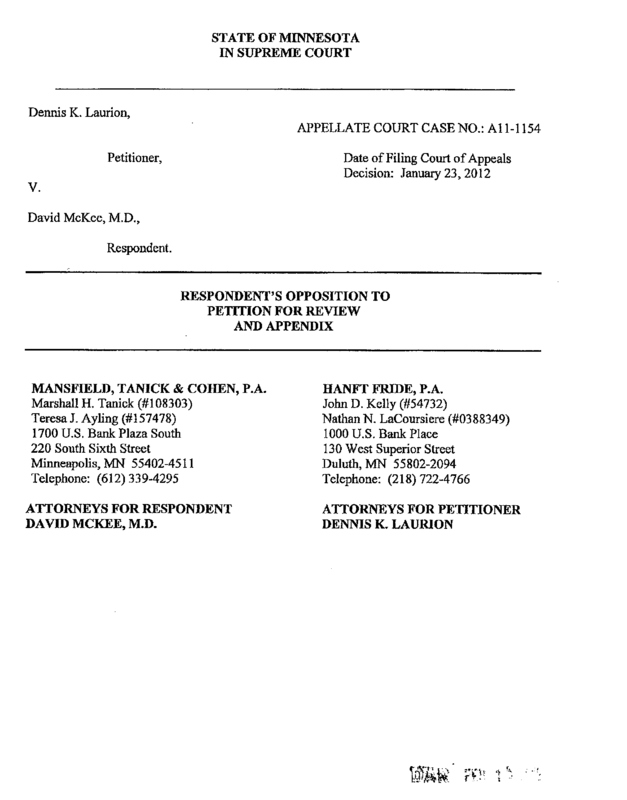 Click any page to see it enlarged.